On Monday 4th July, we took two excited teams to the Warcop tournament. 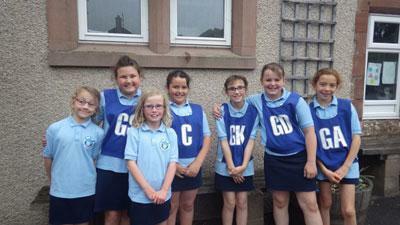 The netballers played Warcop, Morland and Crosby and lost two of their games but managed a 0 – 0 draw with Morland. 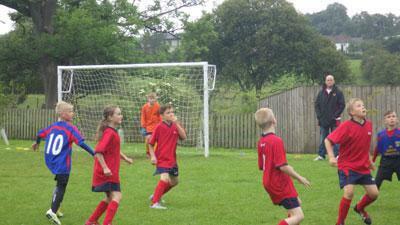 The footballers played extremely well reaching the quarter-finals. It was 0-0 against Kirkby Thore and a win against Brough and Warcop team 2. In the quarter finals the game was against Morland and resulted in a 1-0 defeat. 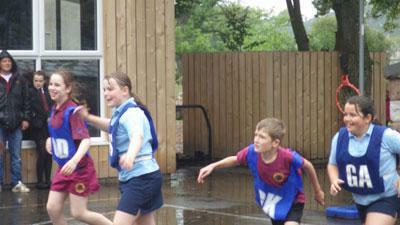 Unfortunately, the rain was heavy and did affect conditions. Everyone did well and enjoyed the evening.